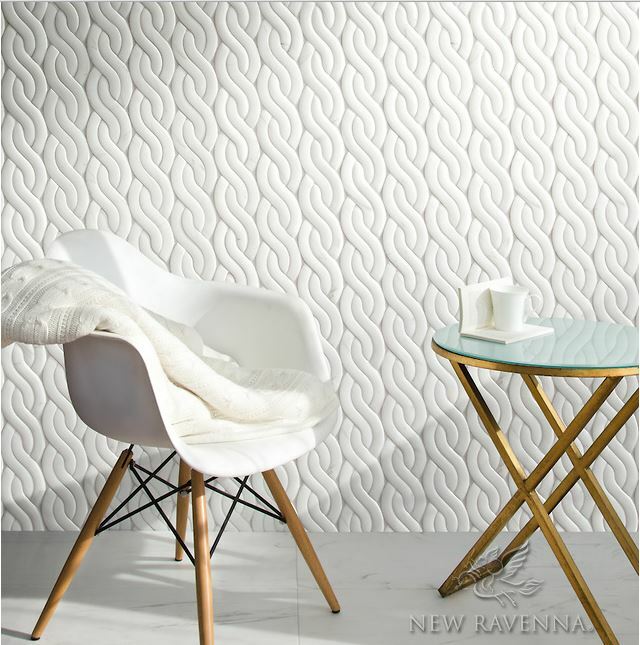 New Ravenna’s Zazen Grande, a waterjet stone mosaic, is shown in Venetian honed Cavern. 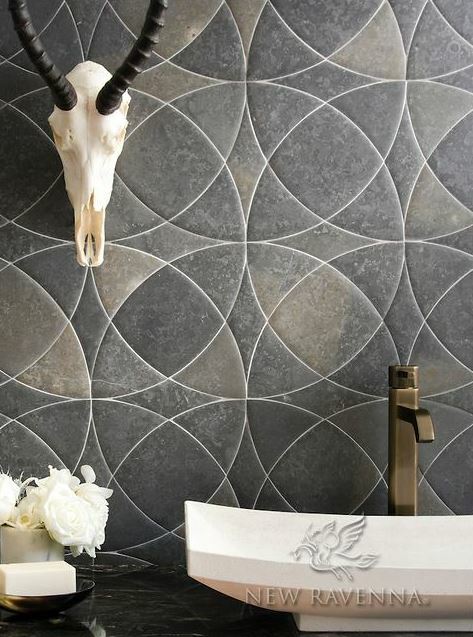 Palazzo, a collection of mosaics by Sara Baldwin Design and Paul Schatz, features 13 hand-crafted natural stone patterns inspired by the Italian palaces constructed during the Renaissance era. Moreover, as it explores classic motifs from Roman and Byzantine design, the Palazzo collection showcases the artistry of stone work as each piece of stone is either cut by hand, saw or waterjet, and either honed, polished or left in its original organic state. New Ravenna’s Cable Knit Large, part of the Palazzo collection, is a waterjet stone mosaic (shown here in Venetian honed Dolomite). 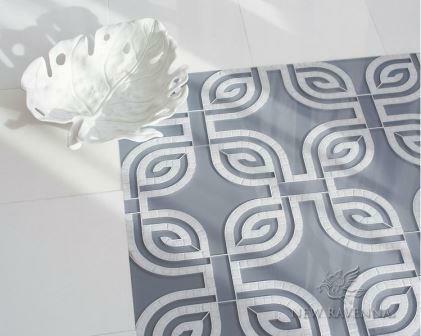 Heathrow Grande is a hand-cut and waterjet mosaic featuring tumbled Afyon White and Chinchilla Serenity glass. Finally, each pattern can be fully customized with the client’s material preferences to fit the scope of any commercial or residential project. Every mosaic in the Palazzo collection is made by hand in Virginia and can be installed indoors or out, on floors or walls. The collection is available at New Ravenna showrooms throughout the United States, Canada, Europe, Russia, and Dubai.